Buddhism has spread throughout the world. For over two thousand years, the Buddha’s teachings have spread from community to community, greatly impacting history, cultures, and development. The history of early Buddhism shows a deep relationship with trade routes, ancient rulers, and missionaries. 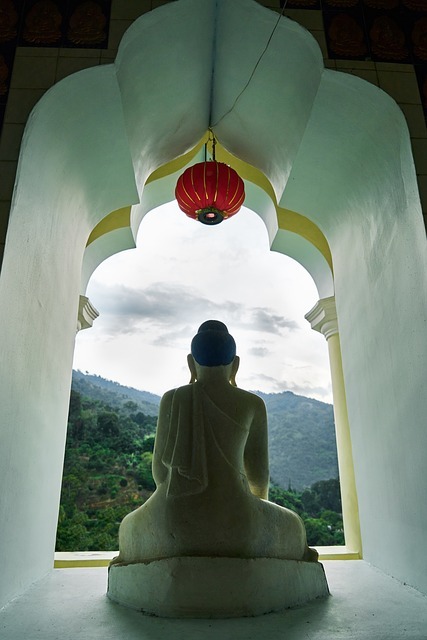 Although many schools and traditions have developed, there are many constants as Buddhism has traveled the world, such as the purpose of meditation, the practice of mindfulness, and ethical conduct. Let’s take a look at the spread of Buddhism from Northeast India to other parts of Asia and the rest of the world. There are many countries with large Buddhist populations. Below is a list of countries with large Buddhist populations along with the estimated population of Buddhists by percent and number. 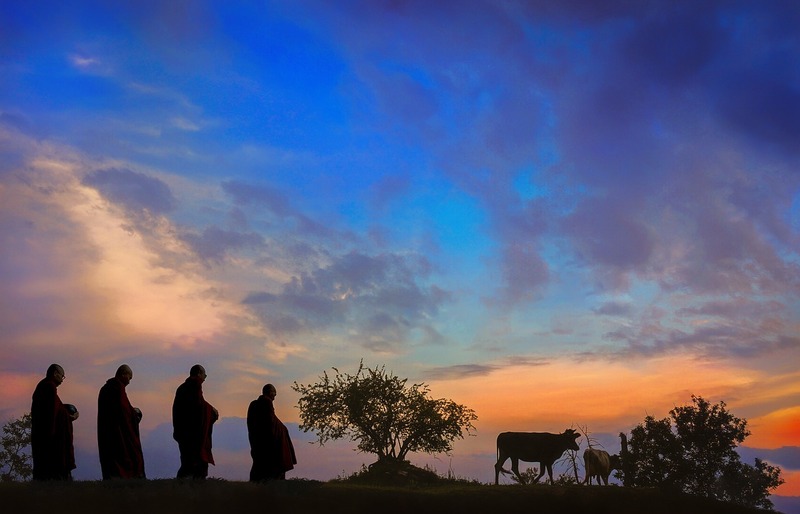 As Buddhism travels to each country, it is influenced by the culture and traditions of the land. This can be seen in the development of Chan in China, Zen in Japan, Tibetan Buddhism in Tibet, Nichiren in Japan, Seon in Korea, and the Thai Forest tradition in Thailand. This creates a huge amount of different traditions in Theravada and Mahayana schools of Buddhism. 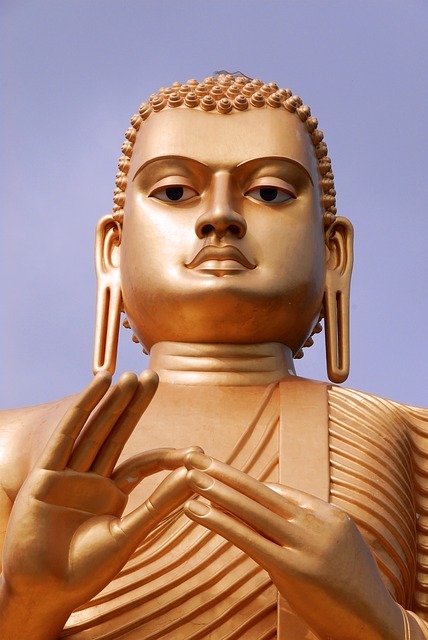 The Buddha was believed to live sometime around the 6th-4th centuries BCE. Many details of the Buddha’s life come from religious texts, and many facts about the Buddha’s life are murky at best. We do believe he was born in modern-day Nepal and lived in what is now India. Buddhism was a relatively small movement during the time of the Buddha, but his followers began traveling across India and spreading the teachings. In the 3rd century BCE, the emperor Ashoka the Great came to power, ruling over the entire Indian subcontinent. Ashoka made Buddhism the state religion, encouraged missions to bring Buddhism around the kingdom, and helped make Buddhist monks a respected and even revered class. Furthermore, it is during the reign of Ashoka that scholars and archaeologists have been able to find early evidence of Buddhism. Ashoka helped bring Buddhism to many countries by sending missionaries to regions now known as Burma, Sri Lanka, Cambodia, Laos, Nepal, Bangladesh, Macedonia, Egypt, Syria, Greece, and Malaysia. Ashoka the Great also helped organize the Third Buddhist Council, which sought to rid the community of corrupt monks. After this council, Ashoka’s son Mahinda brought the Pali Canon (Buddhist scriptures) to Sri Lanka. These texts were preserved, copied, and we have copies of the original texts today. After the Third Buddhist council, different schools of Buddhism really began to emerge. The term Mahayana began to emerge in the 1st century CE. During this period, Buddhism began spreading along the Silk Road to China, Greece, and parts of Southeast Asia. Buddhism is believed to have spread to Vietnam shortly after arriving in China, with a major Mahayana center developing northeast of modern-day Hanoi. Buddhism arrived in Indonesia around the 2nd century CE due to trading between Indonesia and India. Buddhism was also introduced to Bangladesh during this time, although it took a few hundred years before it really took hold. It was during this period that different traditions began to form as the Buddha’s teachings were reaching new lands, cultures, and existing traditions. Buddhism was fueled by the Silk Road and it’s popularity in China. Furthermore, Buddhism was influenced by the already existing Taoist tradition, giving rise to the school of Chan Buddhism. Chan traveled to Korea in the 4th century CE and became Seon, which is the Korean variant of Chan. In the 3rd and 4th centuries, monks traveled from what is now Pakistan to Japan. This was the first strong introduction to Buddhism that the Japanese people received. In the 6th century CE, missionaries from Korea were sent to Japan. Although the uptake of the new religion was slow, it eventually took on. As the Seon tradition mixed with Japanese culture, it adapted and created its own variation of Chan which we now call Zen. The Buddhist scriptures are believed to have reached Tibet as far back as the 2nd century BCE, but Buddhism was more formally introduced in the 7th century CE. The king Songtsen Gampo took Buddhist wives from Nepal and China, and learned about Buddhism through his new wives. Songsten Gampo built Buddhist temples in Tibet, and ordered the translation of the suttas into their Tibetan Sanskrit dialect. In the late 8th century CE, Buddhism became the official religion of Tibet. Songsten Gampo also introduced Buddhism to Bhutan, building multiple temples. Buddhism also traveled to Laos during the 7th and 8th centuries CE from many places. Scholars believe that different traditions reached Laos from Thailand, Korea, China, and Indonesia around these centuries. Although Europe’s first contact with Buddhism was back in the 3rd century BCE during the reign of Alexander the Great, it didn’t gain popularity until the late 19th century. Philosophers like Friedrich Nietzsche and Arthur Schopenhauer showed interest in Buddhism and began to bring the practices and teachings to the attention of Western thinkers. During the late 1800’s Europeans began converting to Buddhism and taking up robes. In the United States, it is often believed that the first Buddhists were Chinese railroad workers. Almost exclusively men, they established centers and temples across the country. Japanese laborers arrived in Hawaii and California in the late 1800’s and founded what is now known as the Buddhist Churches of America. The World Parliaments of Religions was held in Chicago in 1893, and four Buddhist priests and two laypeople showed up to represent various Japanese Buddhist schools. Perhaps one of the most powerful people during this time was D.T. Suzuki, a Japanese Buddhist author. D.T. Suzuki met with American philosophers and is widely considered one of the most influential people in spreading Zen Buddhism to the West. In the 1920’s and 1930’s Buddhism became much more popular in Europe. The first Buddhist temple in Europe emerged in 1924, the Tibetan Book of the Dead was translated in 1927, and Buddhist societies popped up across the West. With the increased availability of information, more writers, philosophers, and theologists wrote about and studied Buddhism than had ever been done in the West. Shunryu Suzuki arrived in the United States in the late 1950’s, eventually founding the San Francisco Zen Center. In the 1960’s and 70’s, Tibetan teachers like Chögyam Trungpa Rinpoche, Lama Yeshe, and Geshe Kelsang Gyatso began teaching and establishing meditation centers in Europe and the United States. On the Theravada side, teachers like Jack Kornfield, Sharon Salzberg, Joseph Goldstein, James Baraz, and Carol Wilson spent time in Burma, Sri Lanka, and Thailand as monastics. Upon returning to the United States, they opened meditation centers like Insight Meditation Society in Barre, Massachusetts and Spirit Rock in Woodacre, California. Today, it is estimated that there are about 500 million practicing Buddhists in the world, with about half of these living in China. Over half of these people practice a form of Mahayana Buddhism, while about 35% practice Theravada and 6% practice Vajrayana. Buddhism has evolved quite a bit as it has reached the West, much as it did when it reached other cultures. We have MBSR, the Insight Meditation movement, and many Western interpretations of the dharma. As Buddhism continues to reach new cultures, it’s likely that it will continue to evolve. 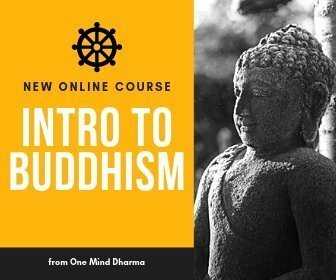 Subscribe to receive updates and new posts from One Mind Dharma!